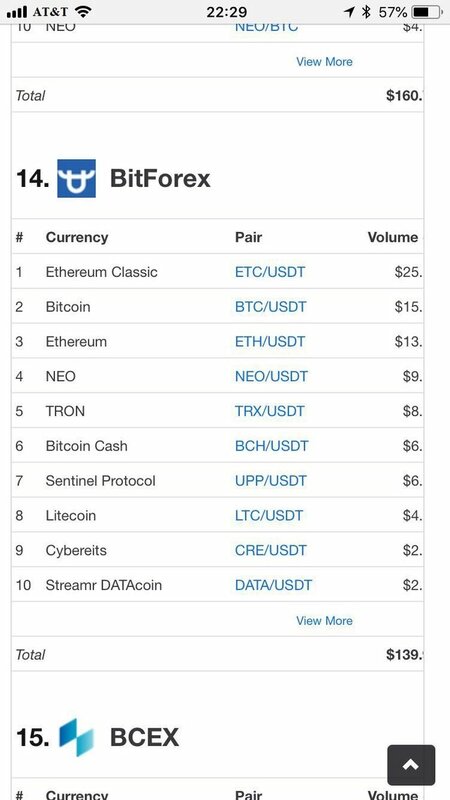 BitForex is the fastest growing crypto-asset trading platform in the world, currently ranking number 14 on CoinMarketCap! The latest CoinMarketCap’s crypto-asset exchange ranking places BitForex as number 14 among all crypto-asset exchanges in the world! According to official reports, BitForex ranked number 63 in May and jumped 40 places in only one month. According to latest data, on June 19th at 10:30 p.m., BitForex was able to jump from place 16 to 14 compared to its place in the ranking in that same day at 10:00. It is certainly the fastest growing crypto-asset exchange in the world! The blockchain is gradually evolving from Era 2.0 to the 3.0. We firmly believe that this is the time for its growth development of new technologies. People are gradually becoming aware of it, and we are worried about the down times, bear markets, that the bubble may burst in with the advancing of the Blockchain technology. New technologies are beginning to mature. We must believe that the high-quality Blockchain project will inevitably bloom in the future, but it will take time to settle. Therefore, BitForex always uses a rigorous selection criteria mechanism to select only high-quality currencies for our users. Trade in the Moment, invest in the Future: it is the consistent philosophy of BitForex that the current active trading can bring short-term benefits to the crypto-asset trader, but can build a successful future. High-quality projects are the direction of our long-term commitment with our users. BitForex conducts smart-contract security audits before the currencies go online to protect its users’ assets. Our rigorous selective mechanism is laying the foundation for a long-term success.